University of Illinois Springfield political science major Yaw Kesse of Chicago has a passion for public service. Kesse has spent the summer interning at the Illinois Department of Healthcare and Family Services in Springfield where he works in the Bureau of Collections. He credits UIS for the internship opportunity saying it has helped prepare him for his future career. At UIS, Kesse is a member of the Upsilon Xi Chapter of Alpha Phi Alpha Fraternity, Inc. He was previously involved in Student Activities Committee (SAC) and served as host for the 2016 UIS Homecoming Pep Rally. He recommends that future UIS students get involved on campus in order to gain valuable leadership experience. “For any student who is coming to UIS, I feel like you should just really get yourself acclimated and join student organizations and do as much as possible,” he said. Following graduation from UIS, Kesse plans to continue his career in public service and hopes to find a job with the State of Illinois. He says he’s grateful for the opportunities he’d had at UIS. University of Illinois Springfield Chancellor Susan J. Koch was the winning bidder of 3 pounds of Uncle Bob’s Homemade Ice Cream at the Governor’s Sale of Champions at the Illinois State Fair on Tuesday, August 15, 2017. 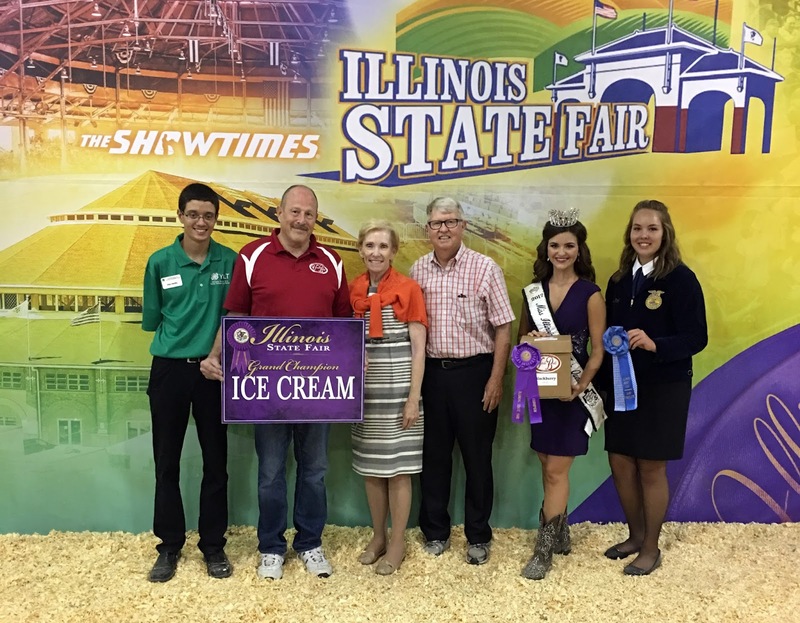 The ice cream, which is manufactured in Eureka, Illinois, was named the Illinois State Fair Grand Champion in the ice cream category. Koch bid $600 to win the grand prize-winning blackberry ice cream. According to their website, Uncle Bob's Homemade Ice Cream opened on July 10, 1980, at the Heart of Illinois Fair. Uncle Bob's now has a permanent location in Eureka where fresh ice cream is made year round. Koch plans to donate the champion ice cream to the University of Illinois Springfield to be served at a special event on campus. The Governor’s Sale of Champions is held each year at the Illinois State Fair on Agriculture Day. University of Illinois Springfield senior Ashley Osuma loves to share the knowledge she’s gained from her four years on campus with incoming freshmen. Osuma is a peer mentor for the Summer Bridge Program, a two-week on-campus living-learning experience for first-year students who need additional academic support and college preparation. “As a peer mentor, we counsel students through things they might be going through, help them with their homework and answer any questions they may have,” she said. During the Summer Bridge Program, Osuma, an O’Fallon, Illinois native, spends several hours each day socializing with the students and helping them prepare for college. “I love getting the chance to interact with students and pass on wisdom that I may have not had at the time I was a freshman and just give them a different perspective,” she said. During Fall Semester 2017, Osuma will continue to mentor the Summer Bridge students as a resident assistant (RA) in Lincoln Residence Hall and as a peer mentor for Students Transitioning for Academic Retention (STARS). On campus, Osuma is also president of the Tau Chi Chapter of Alpha Kappa Alpha Sorority, Inc. and the historian for the Pre-Health Society. She says she’s learned many important lessons from her leadership roles on campus. As a biology major, Osuma is concentrating her studies in the pre-medicine field. Following graduation from UIS, she plans to go to medical school and become a dermatologist. Michael Lemke, professor of biology at the University of Illinois Springfield, is part of an international research team led by the American Museum of Natural History that has found that a next-generation DNA sequencing method is less effective at microbial diversity description than originally thought. Next-generation sequencing has given biological scientists the ability to sequence millions to billions of small fragments of DNA in parallel, revolutionizing the field. In a study, published this week in the Nature research journal “Scientific Reports”, scientists compared two next-generation sequencing techniques – called amplicon and shotgun – on water samples from four of Brazil’s major river floodplain systems. Less than 50 percent of phyla—a category for a very broad group of related organisms—identified via amplicon sequencing were recovered from shotgun sequencing, challenging the belief that shotgun recovers more diversity than amplicon-based approaches. Amplicon sequencing also revealed about 27 percent more families. Lemke, through a collaboration with the Universidade Estadual de Maringá in Brazil, helped collect samples and extract DNA used for the data in the present study. He was on site to collect water samples from the Amazon and Paraguay Rivers during two trips in 2011 and 2012. 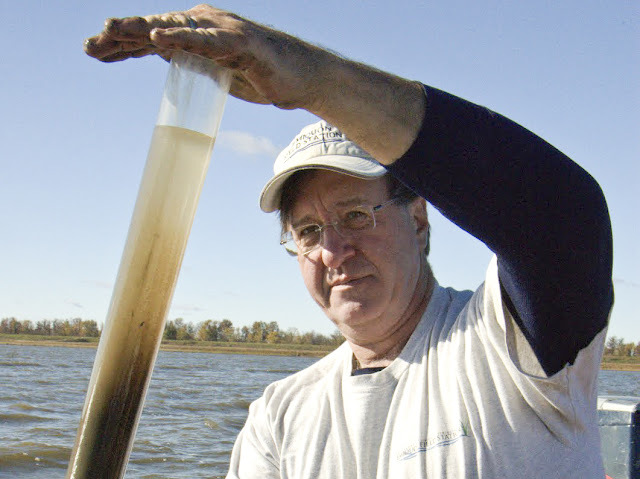 These samples, along with those from the other river systems, were sequenced using both amplicon and shotgun methods. Lemke’s work continues as a research associate for the American Museum of Natural History with the DeSalle Lab, part of the Sackler Institute for Comparative Genomics. Other researcher partners included in the American Museum of Natural History study are the City University of New York (CUNY), Weill Cornell Medicine and Instituto Cesumar de Ciȇncia, Tecnologia e Inovação. This study was supported in part by the Korein Foundation, the Gerstner Family Foundation, the Irma T. Hirschl and Minque Weill-Caulier Charitable Trusts, the Bert L. and N. Kuggie Vallee Foundation, the WorldQuant Foundation, the Bill and Melinda Gates Foundation (grant #OPP1151054), and the Brazilian National Council of Technological and Scientific Development. For more information, contact Michael Lemke, UIS professor of biology, at 217/206-7339 or mlemk1@uis.edu. As a student manager at Brookens Library, Andrew Koontz, a senior University of Illinois Springfield computer science major, makes sure that patrons find the resources they need. He also trains new student workers and is responsible for special projects. Koontz, who is from Belleville, Illinois, has worked at the library for the past year and a half and worked his way up to the student manager position. It’s the first time he’s ever held a management position. “If a student worker needs help with a patron or gets asked something they don’t know they’ll come to me or another supervisor for help,” he said. As a computer science major, Koontz likes to point out that Brookens Library not only offers books, but online databases for students to take advantage of while doing research. After he graduates from UIS, Koontz wants to continue to work with computers and possibly become a software engineer. “As long as it involves my major and I get to work with computers I’ll be happy,” he said. Koontz chose the University of Illinois Springfield because of the right-sized supportive community. He says he came from a smaller higher school and didn’t want to attend a large university. “UIS has many services and opportunities for students that really helps them feel welcomed into the school. I think this is a great school,” he said.